Dr. Kathryn Barnard’s contributions to nursing were enormous. She was truly a legend, and she was an outstanding, teacher, mentor, role-model and friend to many. Kathryn was recognized internationally for her pioneering work in the field of infant mental health and her research into the social and emotional development of children during the first five years of life. In 2001, she established the groundbreaking Center on Infant Mental Health and Development at the University of Washington, in collaboration with the UW Center on Human Development and Disability. The goal was to support the professional development of interdisciplinary infant mental health practitioners. In 2012, the Center was renamed The Barnard Center in Kathryn’s honor. The Center’s ongoing work providing quality research, training and education to promote healthy social and emotional development is one of Kathryn’s greatest legacies. Kathryn wanted to be a nurse from the first grade and got her first nursing job at the age of 16. She worked in her home state of Nebraska before being recruited to the University of Washington in 1963. When she began her work with infants and their parents, there was little appreciation for the lifelong impact of those very early years and the connection between earliest communications, touch and brain development on future social and emotional well-being. Kathryn’s work changed all of that! In 1971, President Lyndon B. Johnson’s War on Poverty gave Kathryn an early opportunity to pursue research in the field. The U.S. Public Health Service commissioned her to design a research project to help identify children who could be at risk for later developmental problems because of their early environments. In 1972, while working on her PhD dissertation, Kathryn became interested in designing a better incubator – one that simulated rocking and heartbeat to help infants develop more mature sleep patterns. The rocking bed she developed improved infants’ weight gain and motor and sensory functions. Today, hospital nurseries and NICUs often encourage rocking tiny infants and provide rocking chairs to do so as a direct result of Kathryn’s work. It was one of her proudest contributions to the field of child development. Kathryn was known for her compassion for mothers who had multiple risk factors, such as drug use, poverty, mental health problems and social isolation. She supported policies and developed programs, including home visitation, to support women facing these kinds of challenges through pregnancy and the first year of their infants’ lives. Kathryn didn’t leave her research in the lab or in programs she was involved with personally. 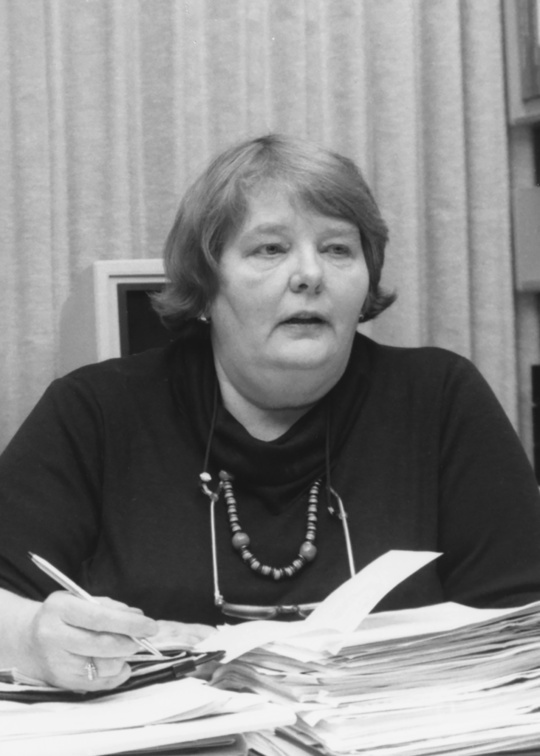 She wanted professionals, parents and other caregivers to benefit from what she learned, and in 1979 her research formed the foundation of Nursing Child Assessment Satellite Training, known as NCAST, which continues today to produce and develop research-based products, assessments and training programs. The first offering of NCAST explained the Parent Child Interaction Feeding and Teaching Scales, or PCI, which were the first clinical research level parent-child interaction assessment tools. PCI remains the standard for measuring parent-child interaction in the U.S. Since its inception, PCI has been employed in nearly 100 published research studies. There are more than 800 NCAST Certified Instructors, representing nearly every state in the U.S. and several foreign countries. Kathryn also shared her knowledge and wisdom as a member of the Board of Directors of the ZERO TO THREE National Center for Infants, Toddlers and Families and as a board member of the World Association of Infant Mental Health. Kathryn Barnard died in June 2015, leaving behind a legacy as a researcher, practitioner, educator, colleague, mentor and friend.